Dimensions: m 2 x 5,3 x h 1,5. The show was organized for the presentation of the book Ridotti in stracci (cit. 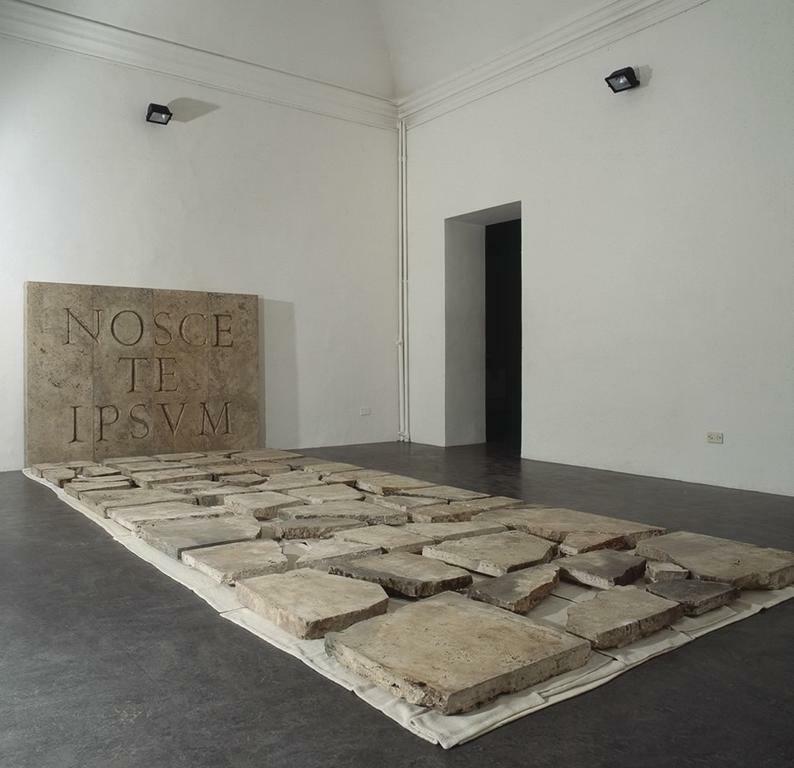 n. 17) in Alberto Peola’s Torinese gallery and re-invokes the relationship and contrast between stone and cloth utilized in the grand installation Samsara. Broken slabs of travertine are placed carefully above a series of suits consisting of pants, jackets and belts methodically folded and spread on the ground. The articles of clothing are all ecru, therefore in a shading of colour more intense than that of the rock itself, but each one is characterized by a different grain of fabric, obvious or subtle, more or less regular. 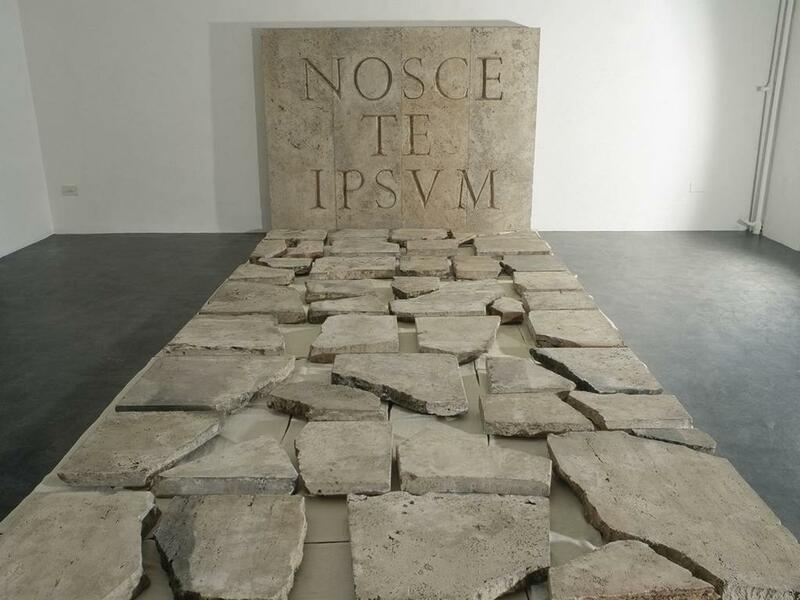 The stone leaning against the wall that closes the installation reveals the underlying intention of the work: the Socratic maxim “know thyself” translates itself into an invitation to leave one’s self behind, to construct a “pathway of rock” on it, and to begin the journey.